Summary: Korra and Team Avatar try to stop Kuvira from moving against Republic City. Uh is it out yet? Nope, it's not. We're still waiting. They were late last week as well. I'm sorry but they honestly take the piss, they are a bunch of idiots. Alot of people (including myself) woke up early to watch the episode because we know that they release it early, then they decide to not upload the episode. Very annoying and frustrating for the fans. Now you know my pain when I had to stay up all night to catch a livestream of LoK's episode, back when they were airing it on Nick. It's 6:04PM from where I am. And I'm waiting like a mad man. It may be like Episode 2 where they don't release on Amazon at all, just 12:00 noon on Nick. Yuck. Maybe Nick finally noticed they were releasing the episodes early and told them to stop until they had it on their site. NO. JUST NO. I NEED MY KORRA FIX NOW. How long till it's put up on stupid Nick's website? UGH I flippin hate them, just when you think they couldn't sink any lower. Only difference between now and episode two, they no longer air it on Nick and I think it's behind still on Nick Toons TV with book four episodes. You'd think they'd be consistent about this. I'm so annoyed, they mess around the fans too much. To make it up to us they should just release all 3 episodes today. I would forgive them for this blasphemy if they do that . Meanwhile let's appreciate Su's awesome moves. My one friday night off from work and they pull this on me. ROAR! HULK SMASH! This is so annoying. I have a final in few hours and thought I'd be able to catch LoK before it, guess not. Thanks for derailing the thread. Locked till the ep is released. Those who insulted Nick or Amazon or iTunes are temp banned for 7 days. You know the rules. What happened to the Fire Nation army? I thought they were helping with the borders. I guess all those people who said Kuvira didn't really care about Bataar Jr were right. She's as cold as the metal she bends. Wasn't a big fan of this episode. The giant colossus looked a bit weird and there really wasn't too much action; mostly it was planning and negotiations. 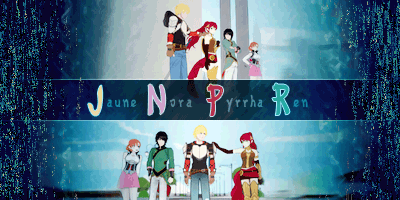 I'm hoping the finale remedies this because this season has been severely lacking in the heart-pounding and tense fight scenes that Book 3 brought. Where were the Fire Nation armies? Now that Kuvira is attacking, shouldn't the other nations be here by now backing the URN? They were against Kuvira but didn't want to make the first move. They've literally had a week to prepare, and nobody showed up? wut? As for the explosion at the end, I'm not too worried. It seems everyone who got hit by the spirit blasts have been okay so far. It'd be weird if only one explosion actually caused some casualties. Oh, and I'm calling it now: Hiroshi is gonna come in and invent some super bad machines on the fly since all the hummingbird mechas have been destroyed. It will be awesome. EDIT: Did this get uploaded to Amazon at all? I know it's up on Nick. There is one thing I didn't like about this episode, the set up for Wu to become king. I'm sorry but we've spent two (well three) seasons seeing what happens when ONE person is in charge of a country with no checks and balances. I'm okay with a constitutional monarchy, but if they're trying to say well Wu is good now, let's go with the old system that's not going to sit well with me anyway. Not really a big fan of this episode, but I can't really explain why. I doubt there will be any casualties regarding the last blast. However, I wonder if Bataar Jr. will switch sides after seeing Kuvira attempt to kill them all with the spirit vine blast. I think they set him up to do just that with Korra and Su trying to convince him (to no avail), but this will be what sets him off to join them. I didn't really enjoy this episode at all. For it to be the penultimate episode ( I consider the last two episodes to be "one" finale episode) I expected better. I pray the last two blow it out of the park cause this wasn't a good start. Any ideas, if or who might get injured from that blast? Mako was closest to the window, I guess. That last moment is kinda the most interesting thing that happened in this ep. Everything else, we already saw coming. Someone's been watching Pacific Rim. That was an intense episode. Korra handled the interrogation very well. To think this was the girl who threatened a judge to have Naga bite his head off. We should be applauding for her. I also like how Raiko stepped up despite the fact he surrendered in 3 seconds, Zhu Li telling Varrick to treat her with respect, and Wu convincing the citizens to evacuate after Mako's approach failed (is it wrong for me to say that I found that scene funny. Mako just can't catch a break). I still don't want him to be King at the end because it will beat the purpose of changing the EK system (it needs to change). He's better off as a figurehead who can help people but not rule the country. Now onto BJ. I know that some of you may think that he's beyond redemption but it was nice to see that he wasn't completely amoral. He may not make amends with his family but in the end he really loved Kuvira and would do anything for her. Too bad for him Kuvira showed her true colours by shooting the laser at his location. Not even the fiancee is safe from Kuvira's philosophy. I guess the wedding's off. I now wish the finale would come early because I will be working early on that day. If I have to wait till later in the day I'll go crazy. I'll miss the discussions! Okay an excellent episode, I love all these cameos of the homeless dude, Tahno, the Wolfbats. etc. I laughed at some moments like Mako trying to get the people to evaculte by talking police lingo like those letters to Korra. The Varrick/ Zhu Li reunion was great, I am glad Zhu Li allow the status quo to return. She loves Varrick, but she is not going to put up with this, he has to change, just like Mai loved Zuko but she put up with his behavior, we will see what comes with that. I thought they would attack early, stupid heros, couldn't they have prepared for that. You take the word of the bad guys, when does that ever work out? I thought weapon on the mecha tank, just me or did that remind you of Robocop, I think Mike and Bryan been watching some syfy stuff. Raiku surrend so easily, he continue to look like the worst leader ever. Should have prepared for an early attack you idiot. I thought for a moment Kuvira attacked the civilans fleeing the city, but it was a naval ship, so that is fair game. When they captured Bataar Jr., I wish they have tortured him a little bit, he kind of deserved it. 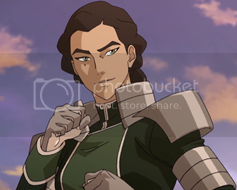 As for weather Kuvira loved Bataar Jr., I think you are missing the point, I think the point is, she does love him, but her conviction are much stronger. I think that was the point of the scene. The look on her face, it wasn't very remouceful, but it wasn't very evil, just very neutral. I think Kuvira is a charactr who doesn't wear her emotions on her sleves, so who knows. 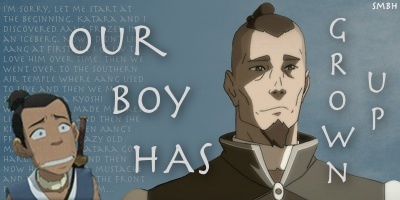 Korra is going to have beat some emotions out of her. I hope it more of conviction > love, not the I didn't love him to begin with, because that would be so cliche and one dimentional.